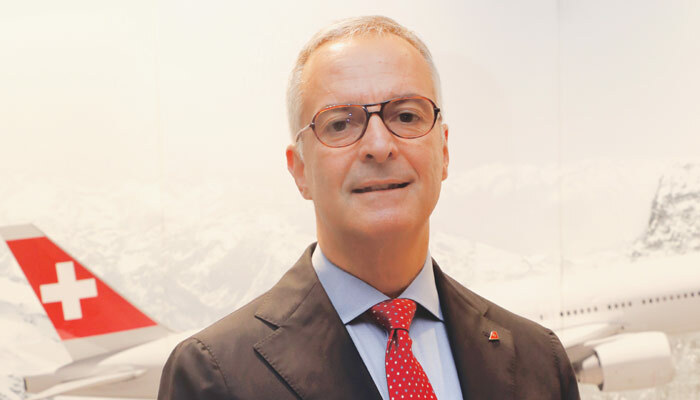 Alexander Arafa, Head of Cargo Area & Contribution Management, Swiss WorldCargo, talks about the future plans of the company while sharing the airline’s vision for the Indian market. How has the Indian market evolved for the group? India is in the top 10 markets from where we get suitable cargo for Swiss WorldCargo. 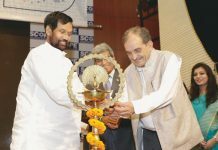 Since we are not growing capacity-wise, all we can do is to work more with the mix of the products we carry out of India. It is important to note that preparing your budget is not only about having enough weight but also the type of freight we carry. That is why the idea is to grow in the pharma segment, where there is a lot of potential for growth. Our target for India is to look different from other carriers because we fly medium-sized aircrafts, A330. What are your targets for the Delhi market? This is my first business trip to India and I am very impressed with Delhi. The airport is offering state-of-the-art facilities, be it in measures of cleanliness, storage capacity, vertical capabilities, and more. Delhi’s facility is comparable to what we have in Zurich and we are very proud on our efficient and flexible Zurich hub. I have found Delhi market quite ad-hoc compared to Mumbai. Of late, we are getting high quality business from here. Our partners are very positive as far as the outlook is concerned. We want to jointly build the pharma segment in the national capital. Nowadays, we already have a good mix of pharma, industrial goods, and engineering goods out of Mumbai, but we see less of pharma out of Delhi even with the adequate infrastructure in place. Pharma is one of Swiss WorldCargo’s core competencies and we do continuously focus on evolving our pharma business for Zurich, Switzerland, and Brazil. Why the disinterest to fly Boeing777 from India? It is not disinterest; it is all about deploying right equipment for flown leg. Presently, we have eight Boeing777 in our network and two more are going to arrive next year, possibly by April or May. We deploy B777 mostly on extra long-haul flights. India is close enough to Zurich from where we serve with an A330, which takes care of the operational needs, thus allowing us to deploy Boeing777 for long-distance destinations. For example, B777 aircraft flies on the North Atlantic, which benefits Delhi and Mumbai as well because both flights feed into Zurich. From there, the products will be transported on a B777 to Los Angeles, San Francisco, Chicago, and Miami. It is our target for the Indian market to differentiate from the competition since we operate medium-sized aircraft and have a strongly dedicated team there. Due to this reason, we will continuously concentrate on the special segment where we have proven records of our quality experience. We have a lean and efficient team in India, which allows optimal, close contact relationships with our customers and partners and more importantly, tuned to their requirements. We have a very good and knowledgeable team as we have invested a lot into their training. Further, we look for tailor-made solutions for our partners as it is in our DNA to go the extra mile. Your vision for five years down the line? We would love to have more capacity on our flights or even additional flights to and from India, as the country is consistently doing really well. It would be nice for us to participate in the growth. Further, there are some airlines which are purely flying domestic, with whom we already have a good interline agreement to grow together. Seeing the boom in the automotive market, we will look for an increase in share of automotive parts from OEMs, besides the pharma industry.